The NFL quarterback is the hardest position in all of sports so when you get not one, not two, but five quality prospects, you better damn well take them in the first round. That's what happened in the 2018 NFL Draft as five quarterbacks went within the first 32 picks. We look at each and break down their near future and chance of success with their respective teams (odds via SportsInteraction). It was a long wait for the 2016 Heisman Trophy winner but Lamar Jackson ended with the best franchise of the five prospects. The Baltimore Ravens traded up to take the Eagles' 32nd pick and drafted the Louisville Cardinal. Many experts can't decide on his role in the NFL with some even suggesting he should switch to wide receiver. As part of the Ravens, Jackson won't be rushed to take the reins as Joe Flacco is the team's signal-caller. But should Jackson's development move quicker than anticipated, he could be leading the Ravens full-time as soon as next season. Jackson is the most athletically gifted of the five prospects. He's the most mobile and has a rocket arm but his accuracy and decision-making on the field are highly suspect. He is a major project for now and likely won't see playing time this year. Ever watched Draft Day? The 2014 film starring good ol' sports movie icon Kevin Costner was about him as the Browns' general manager who skips on drafting the promised QB, Bo Callahan because of one question: "How many of your teammates attended your party?" No one did. Josh Rosen is Bo Callahan. On paper, he has all the tools to be the best quarterback of the bunch: high football IQ, a laser arm, and he's natural pocket-passer. But then there are his intangibles: perceived lack of leadership, lack of dedication, and lack of durability. 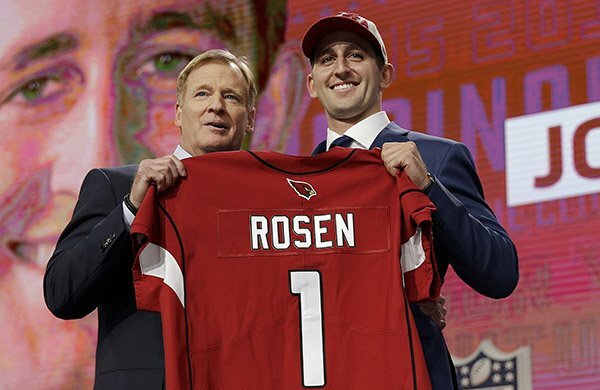 In a highly competitive NFC West, the Arizona Cardinals will likely be the cellar dwellers and the kid from UCLA has to rise up and do more than get by on talent: he has to win the locker room and be a leader. A tough ask and if there's anything coaching can't fix, it's attitude. Outrage culture couldn't kill Josh Allen's stock. News broke out he tweeted some racially insensitive things when he was 15 but he handled it with poise owning up to it. He showed character fitting of a future leader of a franchise that needs hope as the Buffalo Bills haven't won a playoff game since 1995, almost a year before Allen was born! Allen is raw and threw poorly with Wyoming in a weak conference but he has the physical tools to be a franchise quarterback: size, arm strength, and mobility. His arm strength and toughness will be most useful especially playing in the frigid fields of Buffalo and his workmanlike attitude will fit right in with Bills Mafia. Many compare Allen to the Detroit Lions' Matthew Stafford and with his strong work ethic, he might just come close to the promise if not become even better. The last time the Cleveland Browns picked first in a quarterback-rich draft, they took Tim Couch who went on to become one of the all-time greatest busts in NFL history. For the tortured fanbase, hopefully, history doesn't repeat itself. But all signs point to Mayfield being at least a decent starting quarterback. The Oklahoma State product has exceptional quarterbacking ability. He is smart, accurate, and mobile. He has the ability to extend plays even when his line falters, which would be key playing the AFC North, a division that has historically been loaded with ferocious defensive linemen. Many compare Mayfield to Russell Wilson but Mayfield has a bit more fire in him. This competitive nature will be huge as he has the nigh-impossible task of reviving pro sports' worst franchise. The consensus top quarterback prospect will be front and centre in football's biggest market. 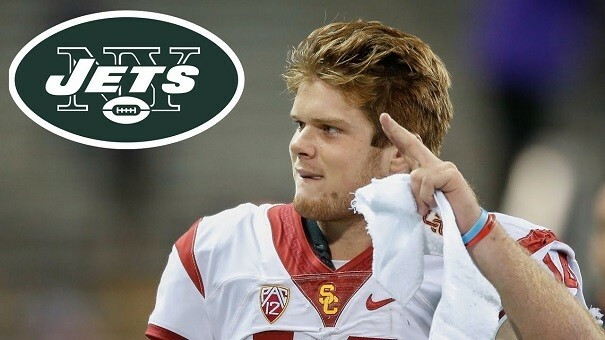 Darnold was vocal about not going to the Browns and got his wish joining the New York Jets instead. The USC Trojan checks off almost all boxes as a quality quarterback: good accuracy, high football IQ, and work ethic. Darnold may not have the highest ceiling among the prospects but he has the highest floor. At worst, the Jets get a quarterback who will start and be a reliable pivot. The Jets have historically been lacking in the position so the bar is low for Darnold. Having a few Pro Bowl seasons would be more than a rousing success and a return to the playoffs should happen if the rest of the team is shored up. Bank on Darnold to have the best rookie season of the five quarterbacks on this list. Football season may be far away, but Canadians remain focused especially after the NFL Draft. New quarterbacks give teams hope and there's going to be plenty of action with online bookmakers open for Canadians. Read the reviews to learn more about each.